General Input Model 106 was developed as a variation on the high density general purpose module. 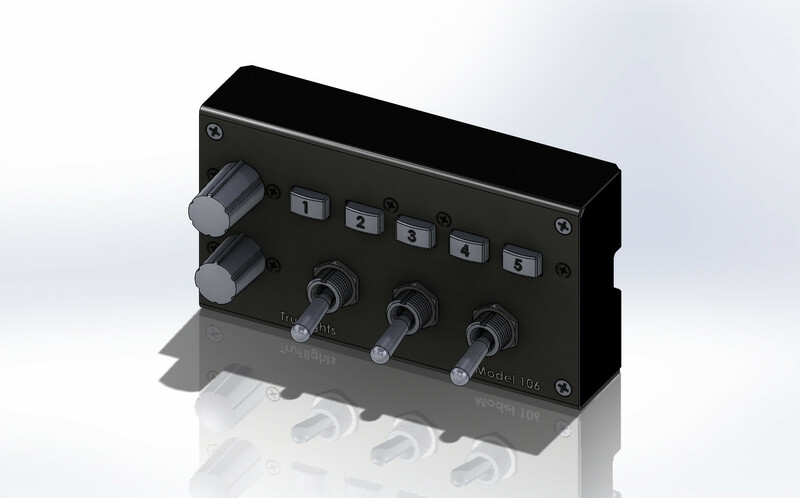 It has five push buttons and three toggle switches. Whether it is an A, B, or C is determined by what is installed in the two rotary locations. General Input Model 105 was developed to provide a high density general purpose module. It has ten push buttons and two locations for rotary devices. Whether it’s an A, B, or C is determined by what is installed in the two rotary locations. 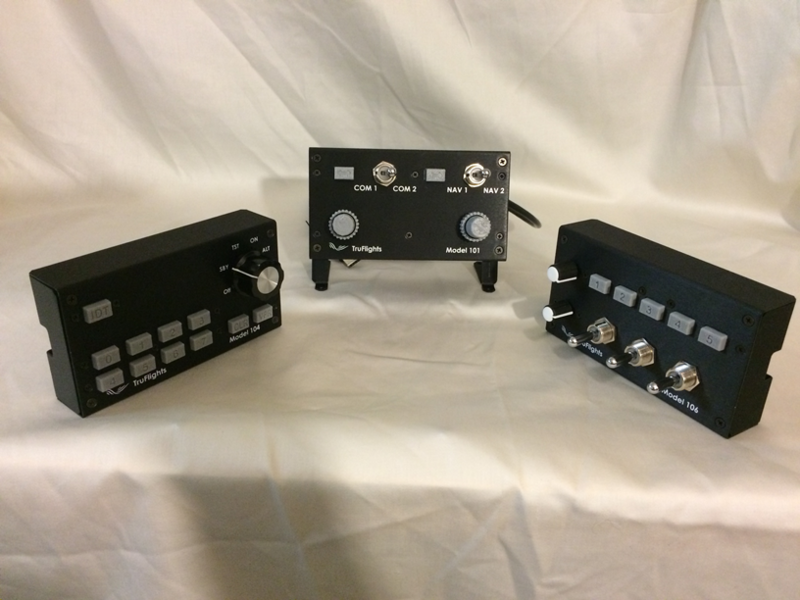 Compact Control Transponder Model 104 was developed to give a companion piece to the Dual NAV/COM so that simmers had an operating panel for the old style analog transponders. 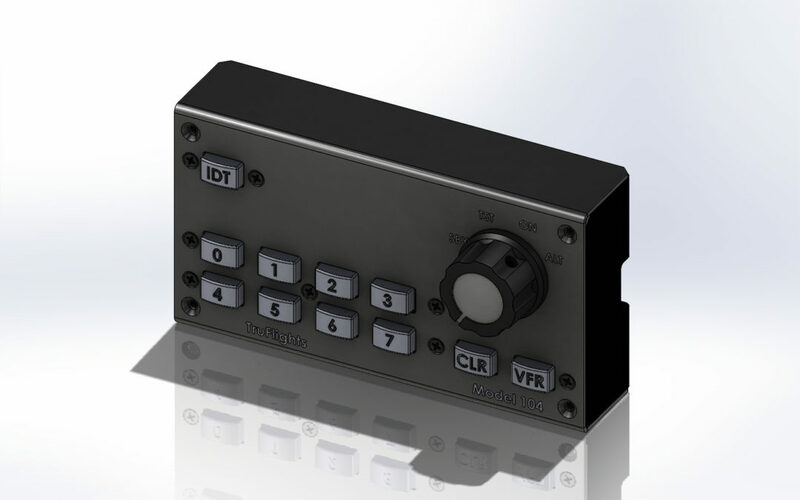 The Flight Simulator Compact Input Control Model 101 was developed to provide both communication and navigation control in a compact box that wouldn’t clutter the desktop.